Totally updated duplex with open floor plan, hardwood floors, granite counter tops and breakfast bar accented by glass tiles. The stainless steel appliances are included (gas stove) and cabinets galore---everything two years ago. 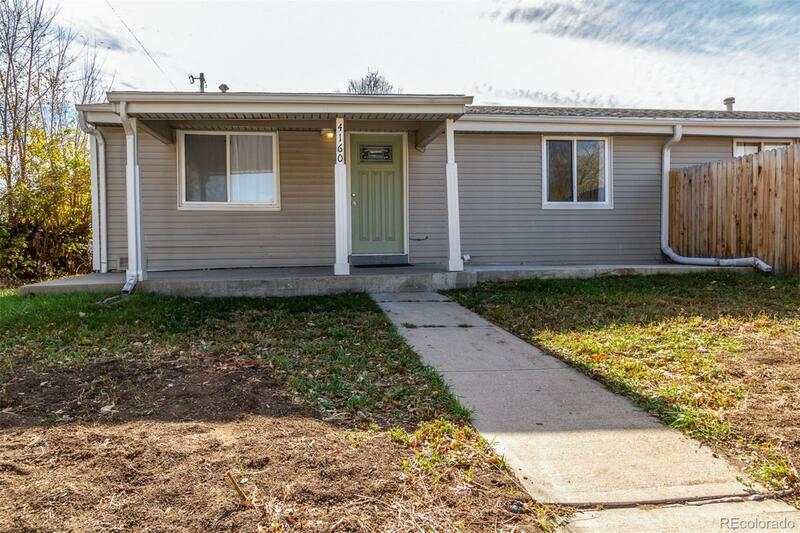 This 2 bedroom home has a nice lower level family room/workout area/man cave that could be a third bedroom with two closets and egress window. New AC and new front load washer and dryer included. Enjoy the private, fenced back yard with storage shed and large covered patio. INVESTORS this property has been used as AirBnB rental and easily rented. Only minutes from Downtown Denver restaurants, theaters and shops and in the heart of the Westwood Revitalization Project. Don't wait---call today. .